Create your ONLINE STORE today! Raise money and awareness for your group or business through our custom fundraisers and web stores. Build it yourself or have a Technician build it for you. It is free and simple to use! 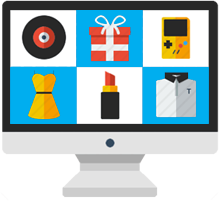 Start making money through your own online store today! "Awesome, friendly staff that delivers fast, efficient & quality service in all areas." "Central Screen Printing has been a great company to work with." "I have to commend you on your customer service! Phenomenal"
"If you want to work with people, who want to work with you, this is the place." 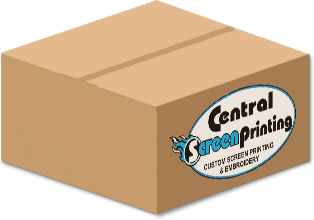 Central Screen Printing has offered free artwork and the absolute best pricing on custom screen printing, embroidery, banners, and promotional items since the doors opened in 1985. Our company has been made by providing high quality tshirts, hats, and countless other custom items at prices others in our industry cannot compete with. With over 50 employees, 24,000 square feet of working space, and a drive to get customers what they want in fast turnaround times has given us long lasting relationships with our customers. Follow the link above to see a full line of services we offer!